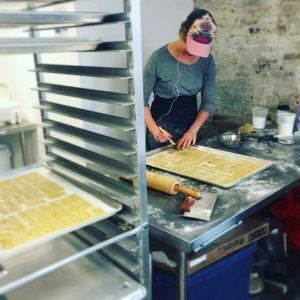 When Nina Murray decided she wanted to start her own bakery making homemade crackers, she gave herself plenty of time to do it right. She came in to the Maine SBDC at the University of Southern Maine in Portland and met with Business Advisor Peter Harriman who advised her on many steps of starting and running a successful business. Harriman helped Murray to understand the key steps in the formation of a business including determining legal structure, registering the business, and tax, licensing and insurance requirements. In addition, he helped her understand her product costs, the marketing landscape and identified other available small business resources. 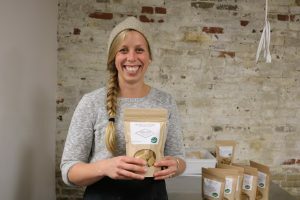 With a year before her anticipated start, Harriman suggested Murray participate in Venturing Forth, a 60-hour intensive course on business planning facilitated by New Ventures Maine. While she worked through this training, Murray continued to meet with the Maine SBDC to work through her business plan revisions. 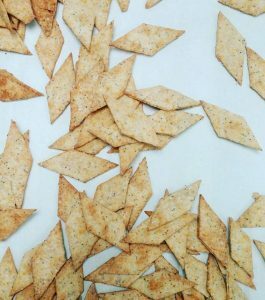 After almost of year of planning, Murray launched Mill Cove Baking Company making specialty handmade crackers from Fork Food Lab, a collaborative commercial kitchen in Portland. Having left her full-time job to move to part-time work, Murray spent her first five months making crackers in the afternoons and evenings after work, or whenever there was spare time. It wasn’t long before it became obvious she needed more time baking to keep up with demand. She’s since left her job and now spends 5-6 days a week in the kitchen. 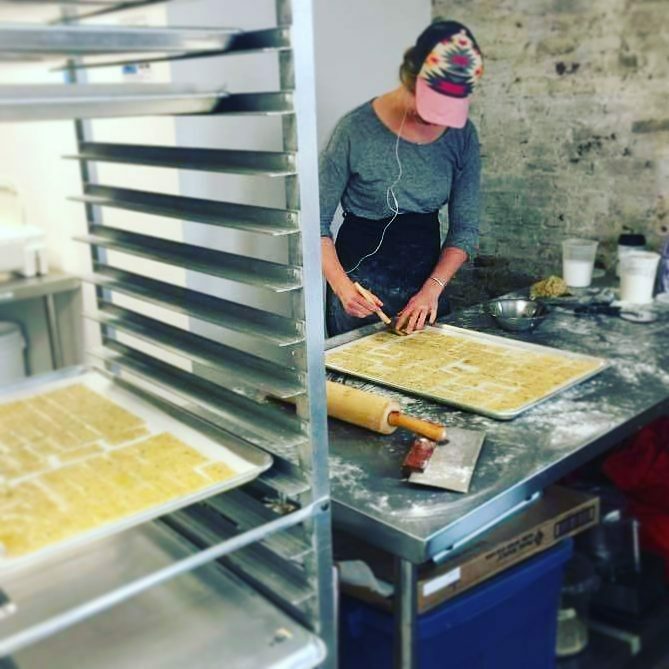 Mill Cove Baking Company crackers continue to grow in popularity, and are now offered in 20 locations throughout specialty food stores in Maine, in addition to now providing custom baked goods to a local coffee shop (Little Woodfords) three days a week. Her crackers are made with a blend of Maine Grain and King Arthur Flours and Kate’s Butter. They come in two varieties: The “Every-Thin”, a buttery cracker made with an organic blend of sesame, poppy, onion, garlic and salt, and The “Real Dill”, an olive oil cracker made with organic dried dill. To find a local retailer, for more information or to follow this growing business, Visit her website or follow her on Facebook!